March was another busy month at South Coast Roof Training. 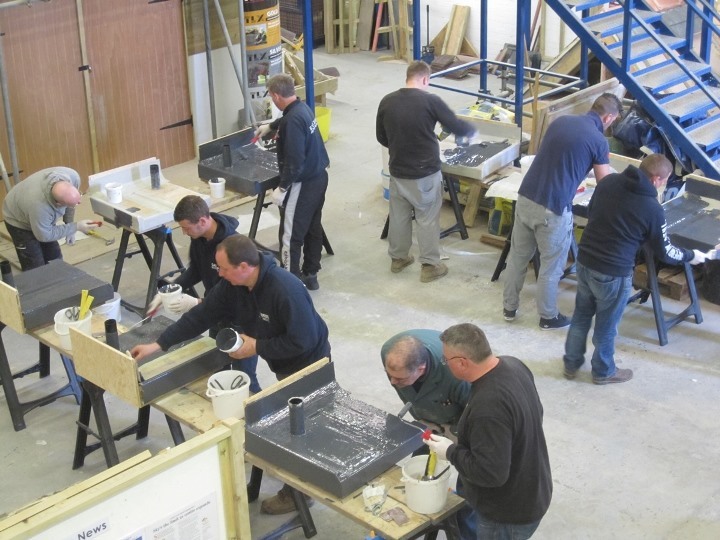 The GRP flat roof course was, as always, fully subscribed. The next course will be on Friday 2nd May 2014. If you would like further information, or to book on this course, click here. 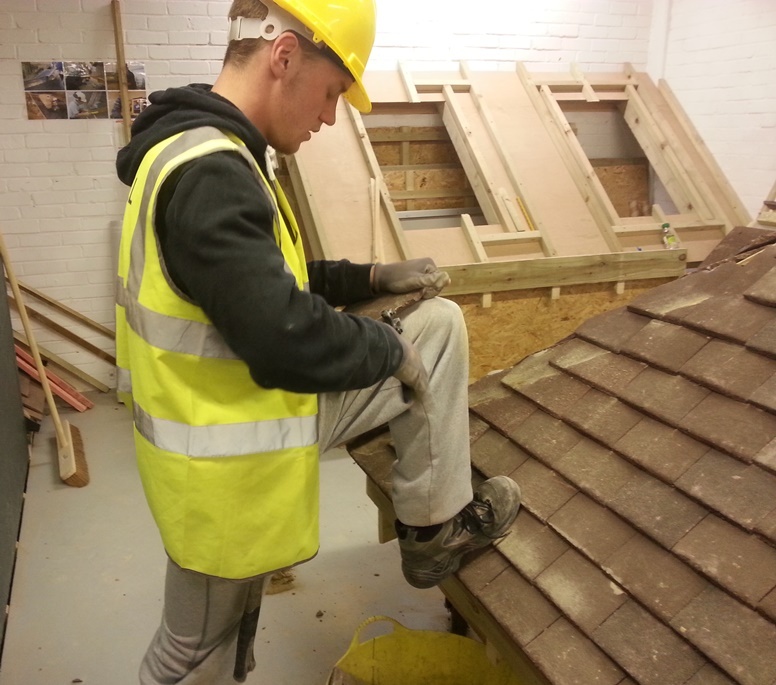 The Level 2 Diploma Roof Slating and Tiling course was running, with two cohorts – one working with plain tiles, the other with interlocking tiles. Meanwhile, a trainee from an earlier cohort, Corey, has successfully achieved the Level 2 Diploma. Congratulations Corey, your hard work has paid off! 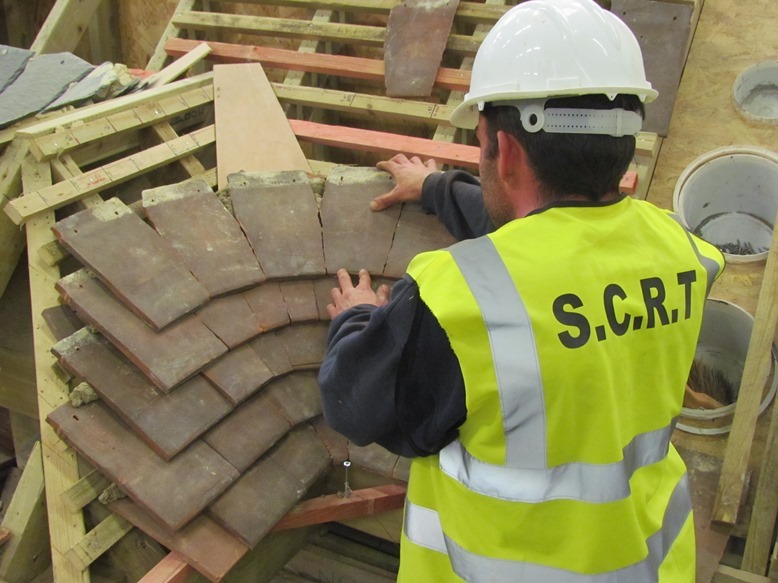 We ran a 2-day Upskilling slating course, which covered laying felt and battens and then setting out and fixing the slates, including cutting. Our bespoke Upskilling courses are available throughout the year, give us a call to discuss your requirements on 0845 678 0065, or for further details click here. 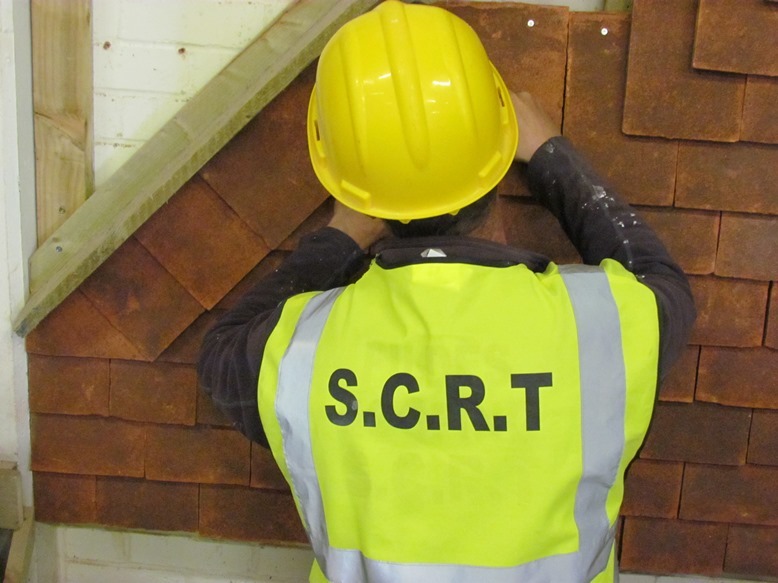 Another Heritage Roof Slating and Tiling Level 3 SUP (Specialist Upskilling Programme) course started in March. The participants will cover topics such as plain clay tiling, random sized slating, stone slating and the use of lime mortar. For more information on the Heritage Roof Slating and Tiling Level 3 SUP click here. 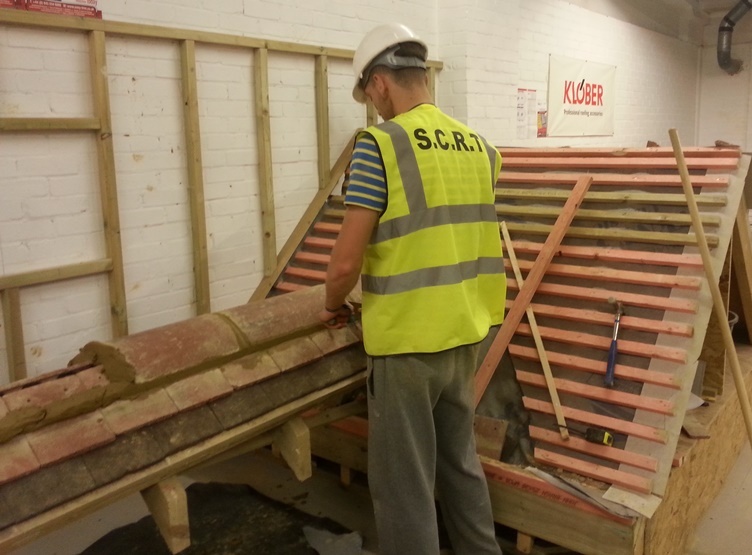 The more ‘in-depth’ 30-day Heritage Roofing Skills SAP (Specialist Apprenticeship Programme) will commence on Thursday 22nd May 2014. For more information click here.